In the absence of a shared building culture, codes have proliferated and engorged over many decades. Today’s codes are accretions of controls, redundancies, contradictions, and delays that stymie their users and produce unintended consequences, despite their stated intent of fostering livable communities. Developments become more expensive and age- and income-segregated. Basic standards of walkability are lost in the morass of processing protocols, conditional uses, floor area ratios, and parking ratios. Because you need a team of consultants to outwit or even to understand these bloated documents, and long-term loans to outwait them, development poses barriers to entry that favor larger players. Lean Urbanism is chiefly concerned with the interminable clogs and delays that keep small developers and redevelopers from getting off the ground, and that interfere with the organic, incremental growth of cities. Lean Urbanism asks: What are the thresholds under which some restrictions may not apply, such as smaller buildings or smaller businesses? What blockades may be bypassed by mere changes in interpretation, like calling a tiny house on wheels a Recreational Vehicle? Can parking minimums be dropped altogether? How about lot size minimums? Lean seeks legal bypasses and workarounds to building and development codes. But the best solution is to write a code that doesn’t have to be bypassed. If it is sufficiently Lean, lawmaking itself can be DIY. Why not get Lean Code trainers to teach local apprentices to write their own two-page neighborhood overlays dealing with the basics that got lost in their gargantuan, ill-fitting municipal code? Some places are already doing it. New Urbanists are already experienced in code reform, because it is necessary for the building of walkable places, whether Lean or lardy. In the 1920s, so-called Euclidean codes institutionalized zoning, a system that separated dwellings, workplaces, and shopping areas from each other in single- use areas, ensuring that the automobile would be the indispensable re-connector of these necessities of daily life for a long time to come. The impetus for separating uses was common sense at the time: that toxic manufacturing should be spatially separated from dwellings. But the system was not nimble; separated-use zoning persisted long after most industry ceased to harm its neighbors. Even now this kind of zoning tends to keep a nascent Apple or Whole Foods from starting up in an apartment or outbuilding, or forbids a baker from living over her store. The New Urbanist mixed-use, mixed-type version of zoning, now matured in the SmartCode, can be traced back to 1980 with the (proto-Lean) formbased code written for a 65-acre patch of Gulf Coast scrub, which became Seaside, Florida. This was well before the Congress for the New Urbanism was launched as such, and before “graphic codes for change” emerged as one of the 27 principles of the CNU Charter. Form-based codes like Seaside’s aim to regulate the form of development — how the building meets the street, for example, or where the parking is placed — while allowing a mix of uses within neighborhoods. Zones in the Seaside Code were based on building type, ranging from less urban to more urban. Later codes used the framework of a Rural-to-Urban Transect, similar in concept to natural transects drawn by ecologists. It guides the planning of several different habitats, or Transect Zones, within walking distance of each other. These zones were not single-use anymore. They were each an integrated habitat for humans, made up of symbiotic urban design elements based on existing towns that were walkable because they evolved before the car. The model SmartCode, released in 2003 and made open source two years later, was the culmination of these several reforming trends: emphasis on form more than use; emphasis on context; coordination of elements in each Transect Zone; coordination of all the placemaking disciplines; consideration of planning and zoning together, and, for the most part, a general leaning of format. A picture in a form-based code, after all, is worth a thousand words. Numerous New Urban model codes show varying levels of Leanness over the years. The first Smart- Code (60 pages) was a Leaning of conventional Municodes, even while regulating more scales of development, and the 2010 Neighborhood Conservation Code (40 pages) was a leaning of the SmartCode for infill and sprawl repair. Starting in 2009, numerous supplementary Modules enabled more customized code assembly, and streamlined the base SmartCode. In 2013, a Pocket Code (five pages) was radically distilled from the NCC, and a Pink Code (four pages) was written for the Ignite High Point (North Carolina) charrette. These are all Transect Codes and as such are nimble — they provide holistic succession over time (just raise the Transect Zone one level and its symbiotic elements rise together), and they admit modular plug-ins without the regulatory contortions and compromises necessary when a Euclidean code tries to incorporate form-based elements. Sometimes it is Leaner to start over. The Project for Lean Urbanism currently identifies five basic Lean code types, which may overlap. Transect Code: a unified development code that coordinates numerous disciplines (planning, urban design, building, engineering, land preservation, ecology, affordable housing, etc.) through the common language of the Rural-to-Urban Transect. Transect-based successional development is an important aspect of Lean Urbanism. Pocket Code: a code that is brief and compact in format. It may be a distillation of a Transect Code or other types. Ideally it is succinct enough to be delivered in a pocket-sized brochure or card. A Pocket Code is written to address only the most essential elements, further distilled into sections targeted to particular applications. Flex Code: a development code designed with parameters adaptable to, or derived from, existing physical and market conditions. It may be based on a Transect Code or other types. Generative Code: a process-based development code whose standards are negotiated step by step on the basis of previous conditions; patterns may evolve successionally or spatially without further corrections. Any code type can be Leaned up, but there may lurk our own unintended consequences. The “pinking” of a code could speed up permitting for sprawl just as it speeds up permitting for traditional neighborhood development. To prevent dissolution of the CNU Charter principles with which the Project for Lean Urbanism comports, Pink incentives should be keyed only to standards that support walkability. Going forward, the Lean Development Codes initiative will likely explore the last three code types, and refine the first two that are already written. Each would benefit from an associated “pocket” handbook, such as a 5:15 Series, e.g., 5 Thoroughfare Types, 5 Building Types, and 5 Metrics: 15 Steps to Walkability. If a code is lean enough, it should be self-explanatory and, although written and negotiated by specialized experts, it should be usable by the inexperienced, without the need of anything but coaching. The Lean toolkit should include instruction for demanding Lean codes. 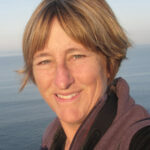 Sandy Sorlien is an urban code writer, editor, photographer, and teacher. She is former Director of Technical Research for the Center for Applied Transect Studies, and was the managing editor for the DPZ SmartCode and its Modules from 2005 to 2010. She wrote the Pocket Code in 2013. Sandy is currently employed by the Philadelphia Water Department as an Environmental Educator at the Fairmount Water Works. She is completing a photographic book about Main Streets and has embarked on another about the Schuylkill River. In March 2014 she won a micro-grant from the Awesome Foundation (very lean) for her public art project, Rescue H2O.